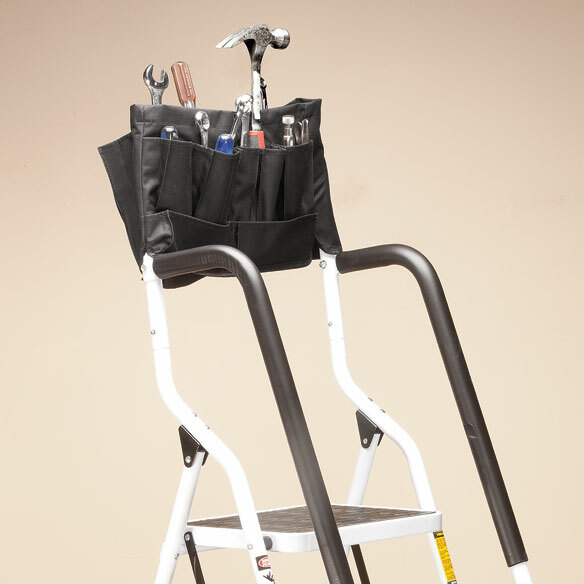 Clever ladder tool caddy stores tools and supplies within easy reach. No more climbing up and down to retrieve essentials or trying to balance gear on a ladder step. 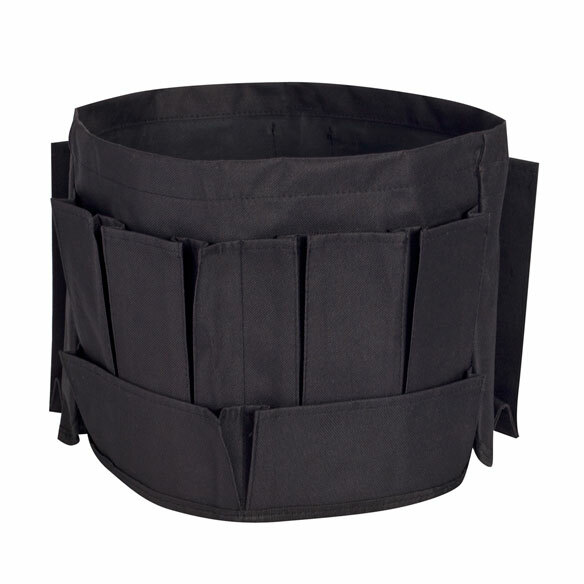 Durable fabric ladder tool holder attaches in seconds — simply slide over the top of your ladder. Seven easy-access pockets store items right where you need them. Ladder attachment measures 18"W x 10 1/2"H when folded in half. will help me when i'm on the ladder. I won't have to go up and down the ladder to get tool etc. The item became avaiable (At higher price) after accompanying ladder was purchased. Purchasing now, from Easy Comforts, overall was a very good deal!